THE HAGUE, Netherlands, March 29, 2019 /PRNewswire/ -- Dutch biotechnology company Micreos announced it has secured €30 million in funding to accelerate the development of its endolysin technology, set to replace antibiotics. Proceeds are earmarked for the clinical development program of its endolysin XZ.700 and the USA launch of its breakthrough OTC Gladskin product for eczema. According to the World Health Organization, antibiotic resistance is one of the world's biggest health threats. The call for true alternatives is more pressing than ever. Antibiotics do not distinguish between bad and good bacteria, and their use induces resistance. Endolysins have three distinct features: (1) ability to target only unwanted bacteria while preserving the microbiome, which is essential for our health. (2) ability to kill antibiotic resistant strains of bacteria (3) emergence of resistance against endolysins is not expected. Endolysin technology opens a new therapeutic window for treatment of chronic inflammatory conditions, such as atopic dermatitis and persistent wound infections, including those caused by MRSA. Micreos' Staphefekt™ SA.100, is the world's first endolysin approved for human use. It selectively targets Staphylococcus aureus - often referred to as 'Staph' - which is a major trigger of eczema and other inflammatory skin conditions. 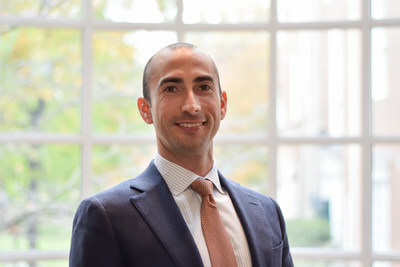 "Since its introduction, Gladskin has helped over 100.000 people in Europe with eczema, acne, and rosacea, many of them reporting a life-changing impact,'' remarked Skyler Stein, Head of Gladskin USA. "Gladskin is pioneering the use of endolysins to rebalance the skin microbiome and improve skin health." Chosen as Europe's Most Impactful Innovation 2018, Gladskin is now preparing its launch in the United States. The €30 million funding includes a non-dilutive €5.4 million Innovation Credit granted by the Dutch Ministry of Economic Affairs. Micreos has conducted several studies with Gladskin, including trials on eczema, acne and rosacea. Studies in orphan indications with a high unmet need, like primary immune deficiencies and Netherton disease are ongoing. Micreos CEO Mark Offerhaus noted: "This funding from existing and new investors will advance the adoption of our endolysin technology and help us reach the millions who stand to benefit. We are exploring partnerships to further accelerate the commercialization of our technology." 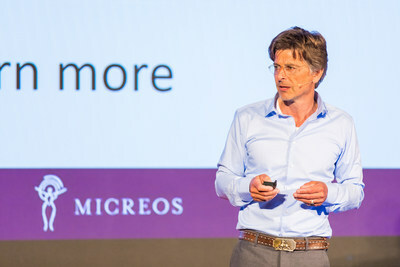 Micreos is a Dutch biotechnology company with production and R&D centers for endolysins in Bilthoven and for phages in Wageningen. Micreos maintains a long-term collaboration with ETH Zurich (Prof Loessner) in Switzerland and numerous medical and technology centres, including Erasmus MC (Rotterdam), the Public Health Lab Kennemerland, the Dutch Burn Centres (Beverwijk), Copenhagen University and many others. 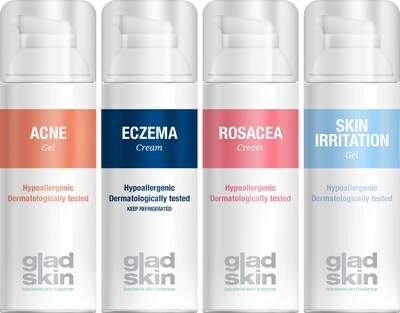 Gladskin is a Micreos Human Health brand (www.gladskin.com) for inflammatory skin conditions such as eczema, inflammatory acne, psoriasis and rosacea. Phageguard is the Micreos Food Safety brand for FDA- and USDA-approved phage products against Listeria, Salmonella and E. coli (www.phageguard.com).